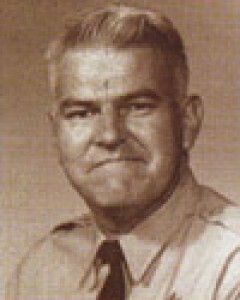 Deputy Sheriff Darden Hollis was shot and killed during a struggle with a man on Santa Monica Boulevard in West Hollywood. The suspect was apprehended and charged with murder. He was found guilty of manslaughter and served a short prison service. After being released he continued a life of crime and was sent back to prison for other crimes. In 2004 the suspect died during a struggle with corrections officers in Lancaster, California. Deputy Hollis had served with the Los Angeles County Sheriff’s Department for 15 years and was assigned to the West Hollywood Station. He was a United States Army veteran and was survived by his wife, parents, and brother.